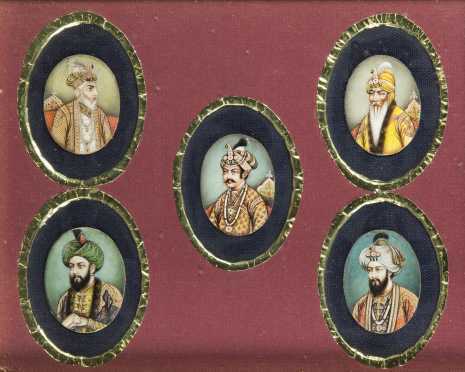 Set of Five Indian (Mughal) Miniature Paintings, each oval painting on paper backed ivory approx. 2" tall with each depicting an early ruler starting in the center and working clockwise- Jalal Akbar, Joda Bai, Shahjaban, Mohammed Humayn, Jud haa Akbar. 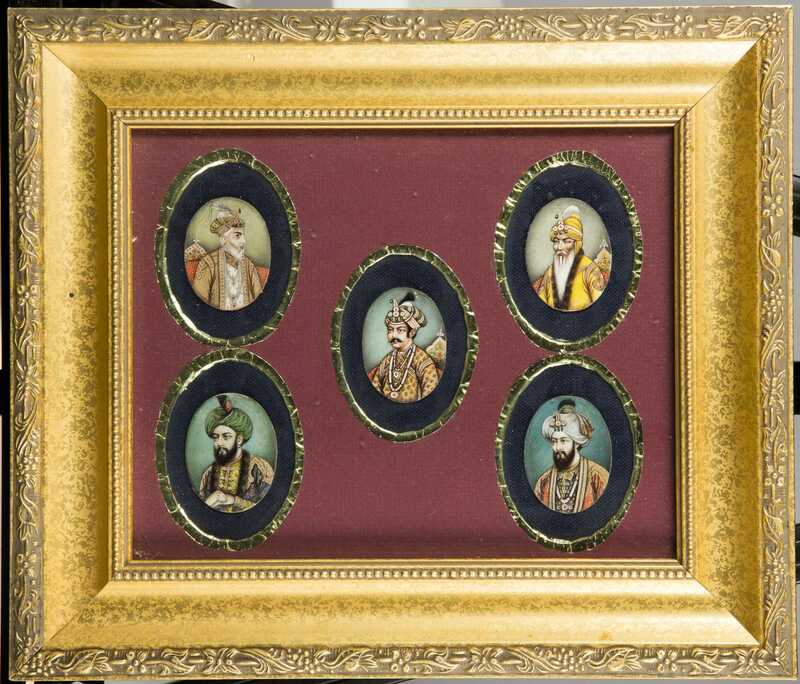 Probably 20thC, set in a newer gold frame under glass.